Randall Wallace has serious Hollywood credentials. He received an Academy Award nomination for writing the screenplay for the Mel Gibson movie Braveheart. Yes, “heaven is for real,” but it’s not the end of the story. Just as real, and incredibly important, is the fact that God will renew heaven and earth. I’ll explain, next on BreakPoint. 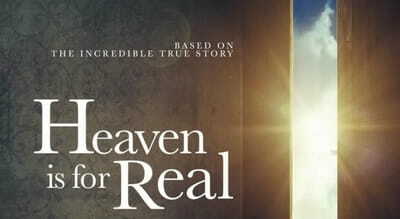 The Christian film hit “Heaven is For Real” has not only done well in the box office, raking in $28 million so far, but has also sparked conversations about near-death experiences. Heaven is for Real has soared to the top of the box office charts, beating out Johnny Depp’s latest thriller for third place. Heaven Is for Real is the true story of four-year old Colton Burpo who slips from consciousness and enters heaven. Some critics have had harsh reactions to the film.